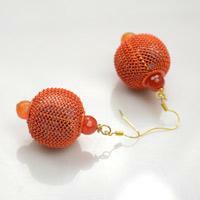 Are you looking for wood beads ball earrings designs? 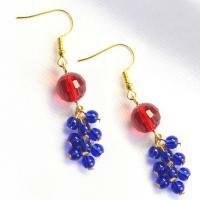 In today's Beebeecraft tutorial, I'll show you how to make a pair of red beaded Ball Earrings. Follow me to see today’s easy Beebeecraft tutorial about how to make Colorful Beads Earrings with different kinds of Beads. 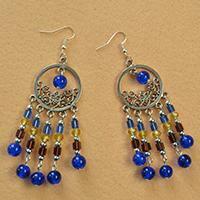 Do you love glass bead earrings? 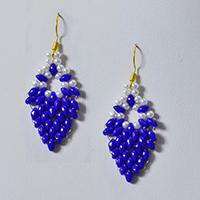 This Pandahall earring tutorial is going to show you how to rapidly make beaded earrings. 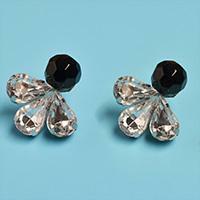 Glass beads are frequently used in summer jewelry diy projects. 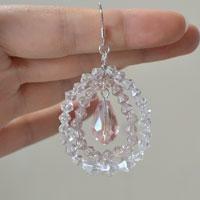 Today's tutorial is about making simple bling glass beaded drop earrings. Check it now! Wanna a pair of wire wrapped earrings? 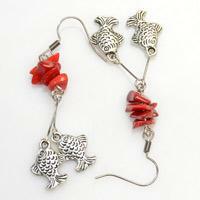 Then look here, this Pandahall tutorial will show us how to make wire wrapped flower beads earrings. It should be a great choice for you to have a nice try! 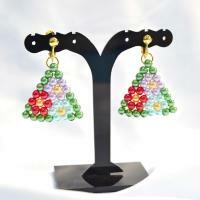 Love seed beads earrings? 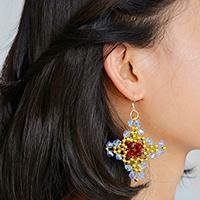 If yes, you must get excited about today’s Pandahall tutorial on how to make 2-hole seed beads leaves earrings for girls! 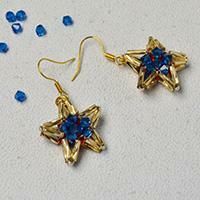 This tutorial is about how to make a pair of glass beaded cross earrings. Follow the steps below and have a try. 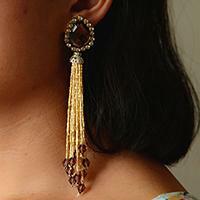 In this article, I want to share an easy Pandahall tutorial on how to make a pair of handmade gold tassel earrings with you. 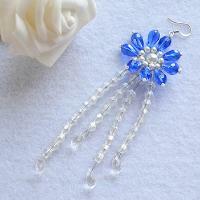 In this tutorial, I will show you a pair of handmade beaded flower earrings. Follow my instruction and try to make one, hope you can enjoy the process. 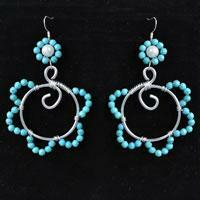 This article will show you how to make a pair of pretty beaded earrings of your own style. 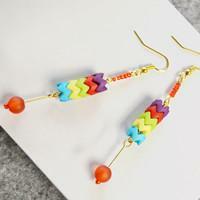 Simple beads can make fashionable beaded earring. 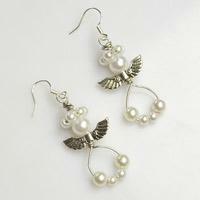 Learn how to make guardian angel earrings with white pearls and silvery wires. 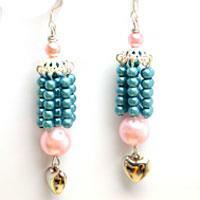 The tutorial shows you a quick and creative way to finish off the cute beaded angel earrings. 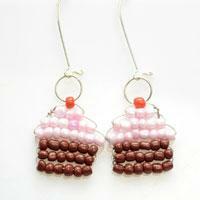 Here shows a free seed bead earrings pattern inspired by a sweet cupcake. 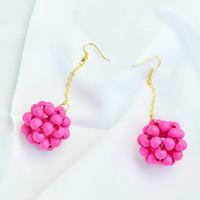 Turing a daily treat into cute earring dangles is extremely easy and fun way to DIY! Only 10 minutes for a pair! 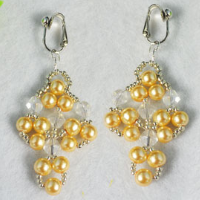 One of the trendiest looks for girls this season is a pair of pearl cluster earrings. 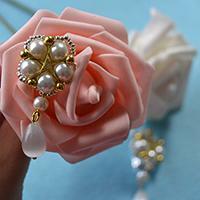 Here, without any chain, you’re also able to make your handmade pearl earrings by using pins within half an hour!